Having lived and worked in Noosa for over a year, Noosa National Park basically become my second home for over 18 months! Not bad when you consider it’s thought to be one of the most picturesque spots of coastline in the whole of Australia and boasts incredible hiking, perfect ocean swimming and some beauitfully secluded, hidden coves. Koalas, echidnas, dolphins, whales and a whole heap of other Australian animals also call this place home and there’s a good chance you’ll see at least one of them if you venture here for a bit too. A small national park by Australian standards, Noosa National Park nevertheless occupies a gorgeous headland area and makes the ideal day trip if you’re staying nearby. 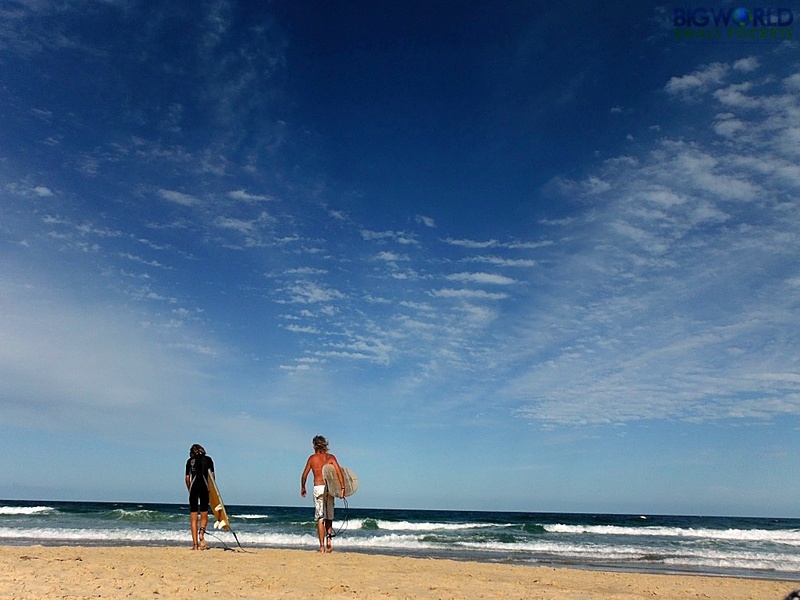 Why Visit Noosa National Park? 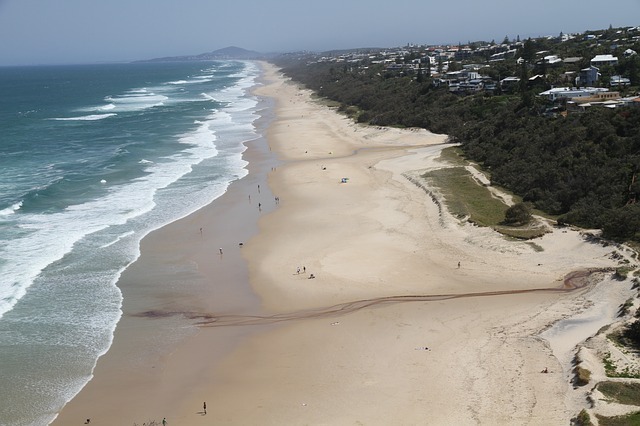 Super accessible, with some delightful walking tracks to explore, beaches to swim at and wildlife to spot, Noosa National Park is great for almost everyone. The place is safe, well-marked, and offers both coastal and forest hiking trails of varying lengths. There’s also a cafe and a toilet in case you were worried! Based around the headland between Noosa Main Beach and Sunshine Beach, you really can enjoy as much, or as little of this park as you like. There’s some paved walking tracks too, making it perfect for families who want to spend everything from a few hours in this park to a whole day or more if you want to walk some of the inland tracks. My favourite bays within the park are Little Cove and Tea Tree Bay, so definitely check these out too. Oh, and the seaviews are to die for, especially if it’s whale season! Perhaps unsurprisingly, you get to Noosa National Park from Noosa – a gorgeous coastal resort town on the Sunshine Coast in Queensland, north of Brisbane. You can access the park either from the Sunshine Beach side – a delightful little strip / suburb predominantly frequented by locals. Or, you can head into the park from the main entrance near Noosa Main Beach. This is where the Visitor Centre is located and while there is some parking here, it can be limited – you have been warned! 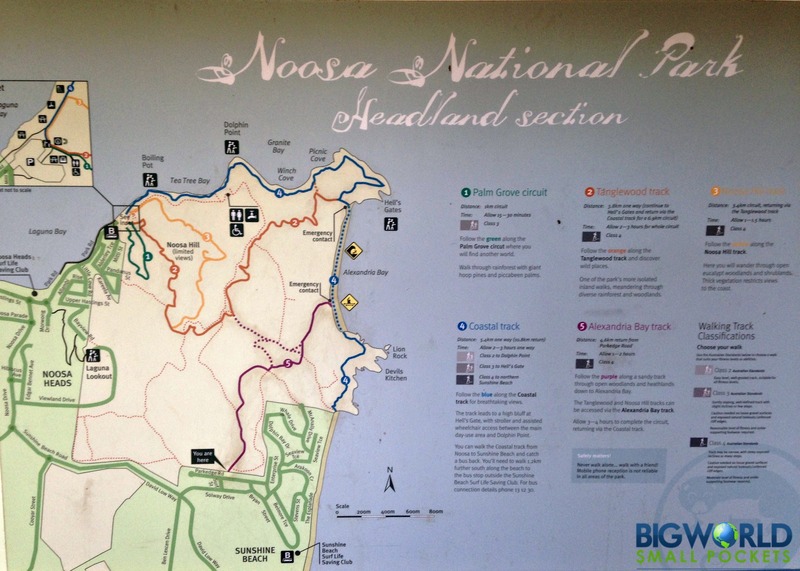 If it’s not too far, you may be best to park or catch the bus to near Noosa Main Beach and from there take the coastal boardwalk that leads into the Park itself. 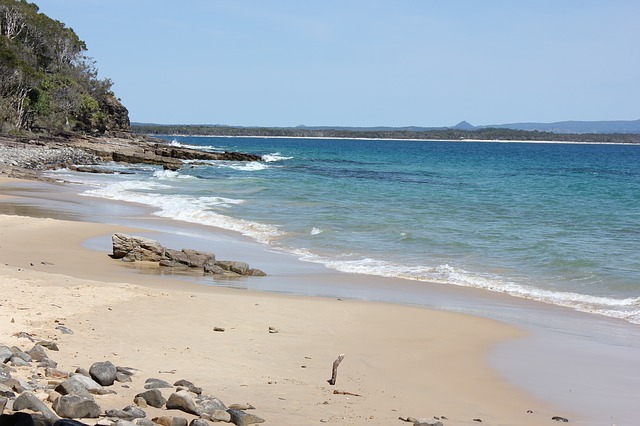 It’s possible to visit Noosa National Park any time of the year, but the Australian summer months – around the Christmas period – tend to be the most popular times. This is when Noosa tourist season really ramps up and so do the number of park visitors. Whale season is from August to October and this is a great time to head to the coastal lookout points within the park to spot these amazing creatures. Being very near the tropics, storms are possible almost any time of the year in Noosa, but so are dolphin sightings, so you take your chances! Of course, sunset / sunrise is a great time to be here with your camera too! #2 Good Walking Shoes – There will be a lot of walking in Australia – from cities to national parks! Make sure your feet are comfortable therefore with a pair of New Balance Trainers. Perfect for stylish strollling, I love mine. Noosa National Park is free! Hoorah – a delight for budget travellers everywhere! 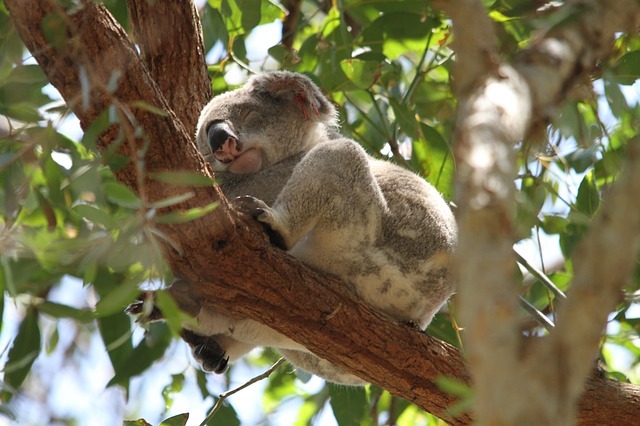 On the flipside however, you sadly can’t stay within Noosa National Park – not even camp! Yes as a small national park, this place is a “day use / picnic only” sort of affair. There are lots of good places to stay nearby if you’re on a budget however. 2 of my favourites are Dolphin Backpackers – a chilled hostel spot in Sunshine Beach – and Halse Lodge – a heritage-listed YHA hostel with room for campervans and a great beer garden. There’s tons of stuff to do in and around Noosa and with life very much revolving around the water here, it’s not hard to guess what’s on offer! From surfing to SUP-ing, swimming to sailing, this area offers it all, and if it’s not on the ocean, then it’s on the river! 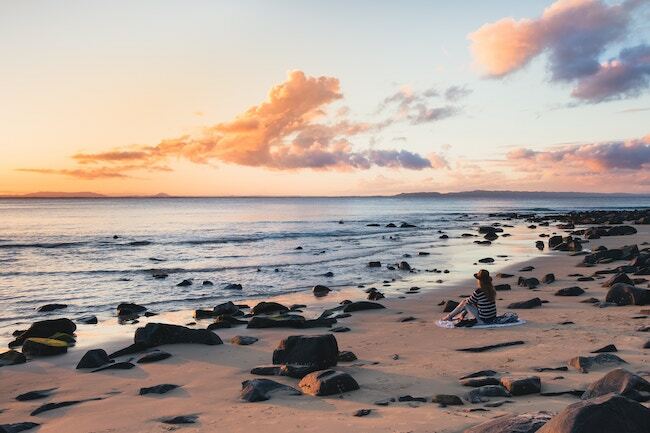 Sunset watching, enjoying one of the many amazing restaurants or cafes, hitting the beach, checking out the farmer’s markets or discovering the hinterland beyond are just some of the other great things to do with your time in and around Noosa National Park. Definitely suncream is a good idea. Bug spray, depending on the time of year might also be wise. Of course, you’ll want a bikini and a towel. Not to mention a picnic and a book if you plan on spending the day here. A good shade cover may not go a miss either. Plus some suitable walking footwear and a cap to keep those UV rays off your head, face and neck while you walk. 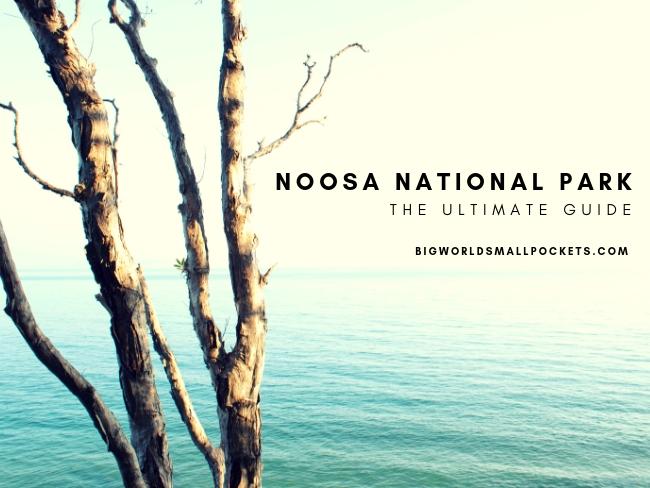 So there you have it, my ultimate guide to Noosa National Park? Looks like romantic place and I am always ready to explore new place for travel. 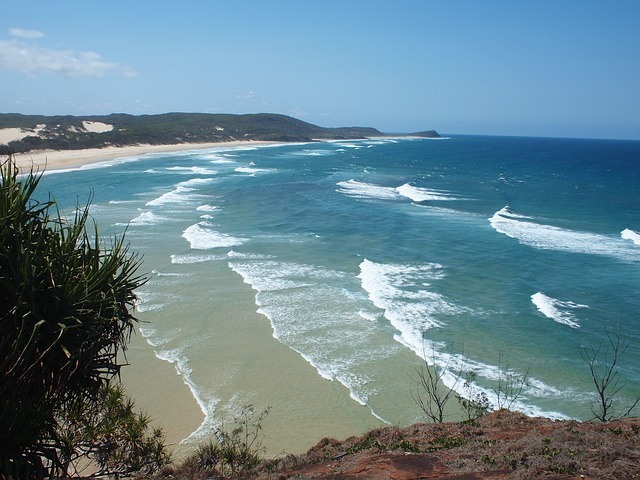 You have mentioned great information regarding Noosa national park. I will definitely try to visit there. Thanks. Great to hear that! Australia is such a huge country with so much on offer… I really think you could spend a lifetime adventuring there and still not see it all!